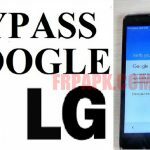 Bypass Google Account is not a hard task because there are lots of tools and guides that help you to easily bypass a Google account on most of the Android mobile phone. Huawei is the well-known China brand mobile phone provider company. It brings some of the best phone models to its users such as P9, P10, Honor8, Mate 9, etc. When you need to bypass the Google Account on these Android devices, you can follow our guide. At first, switch off your mobile device. Now insert a SIM card into the phone. Then switch on the mobile. Tap your fingers on the Language screen for a few seconds. Go to the emergency call option and type *#*#6130#*#*. Then you will see the testing screen. From there, go to the “Phone Information” option. Now select SIM 1 from the SIM Card option. Look at the right top corner of the screen and you will see three dots. Tap on it. From here, select “View SIM address Book”. Again you have to tap the three dots and select the “Add SIM Contact” option. Then tap the cancel button and go back from clicking “>” symbol. It will direct you to the Contact option. From here, click the “Add new contact” option. Then go to the “Phone” option and type here “FRPAPK” in the field of name email option. Then tap the Check button. It will direct you to the FRPAPK screen and here an email envelope will appear. Tap on it just once. Then tap the Welcome to Gmail screen and find out the option “Add an email address” and here select “Yahoo”. You need to have a Yahoo account. Enter the address of your Yahoo account here. Then tap the agree button and tap “Next”. Then tap the “Take me to Gmail” option. Here another windows screen will appear that call “Compose”. Type there “FRPAPK” and press “no thanks”. It will direct you to the Google search bar. Type “Chrome”. Then select the chrome browser and tap “Accept and Continue” option. Then you have to download the “Go Launcher Z”. Allow it to download and after downloading, open it. Then tap the open button and go to the settings option to enable unknown sources. Open this launcher to Huawei p8 Lite FRP Remove. Then go to the Settings and from here to “Advanced Settings”. Tap on it and find out “Backup and reset”. Tap this option and reset the Google Account. Though there are many steps, follow them carefully and do correctly. You can do it by yourself. If you have a Huawei Pra-LA1mobile phone, you need to use Pra-LA1 FRP Bypass tool to bypass your device. FRP Bypass means bypass Google account. When we start a new device with our SIM card, we have to log in a Google Account. This Google account is very important and protects the personal data of our device when we lose it. It is a built-in feature of all Android devices. But when we forget the password of this account and want to change something of our device, we face some problems. In this case, we need to do Bypass Google Account. It is also known as FRP bypass. There are many software and tools to do this action. It is better to find the tools or processes that are proper for the model of your device. You can search for the model name such as Huawei P8 Lite Bypass Google Account, you will easily find out the right things. Besides, there is a process to bypass Google Account remotely. All the processes are easy. But you should follow them carefully and do not do any mistake. We see that Bypass Google Account Huawei P9, P8, P10, P10 Plus Honor 8, Mate 9 is easy to process. Though it contains many steps, it is not hard for you. If you face any problem with your Huawei device, you can follow this process and successfully remove FRP. Then use the new Google account and remember the password. FRPAPK, thank you for this post. Its very inspiring.